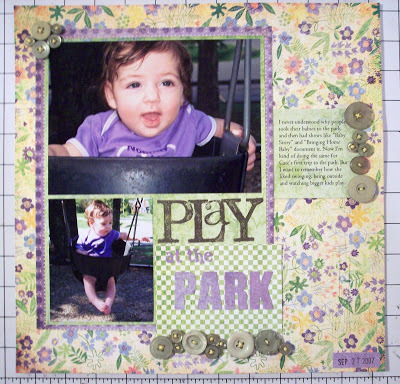 It’s been awhile, but here’s a scrapbook page I finished tonight. It’s nothing special, but I’m really into purple (Cate has quite a few purple outfits!) and buttons. I just like the way these colors go together. love it! The buttons add a lot!